Wall stencils are mostly about applying a pattern on a flat surface like a wall. They can be elaborate or simple but often they start with one wall paint color plus a stencil to give your wall a more glamorous textured wall papered look. Adding different paint colors, color combinations and shades creates a whole range of different looks. This post looks at wall stencils and applying them to different types of surfaces to create stunning features. 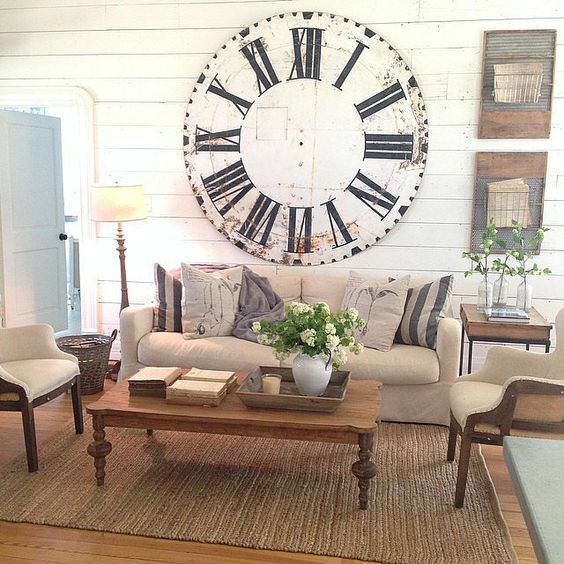 A large wall clock is quite a statement, and you can certainly buy an over sized wall clock. The downside is that you get a clock that might soon date and the cost. Using a stencil gets rid of the cost and gives you the freedom to paint over your stencil when ever you want. 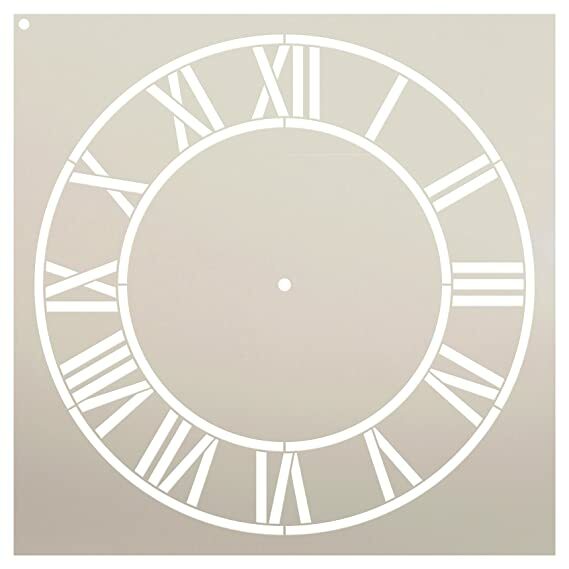 You can get wall clock stencils in different sizes, and add them to metal, wood or even right on to your wall. Its a great statement that is low cost, and because it doesn't take a lot of space, or weight this idea is perfect for smaller rooms or apartments too. I prefer the clock stencils that don't tell the time, the stencils without hands. You can add them in, of course with hardware or just paint in your perfect time of day. This is the perfect wall feature. 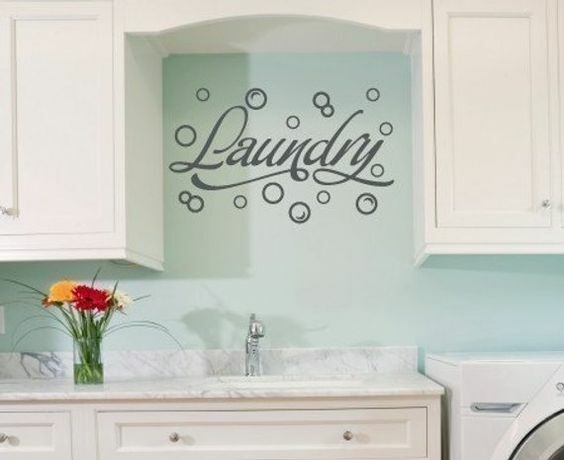 It adds wall decor to the space, can be painted in one color, goes on quickly, and dries within the hour. There are a lot of different size and style clocks to choose from. Right now Roman numerals is one of the most popular style. Let's move onto words. 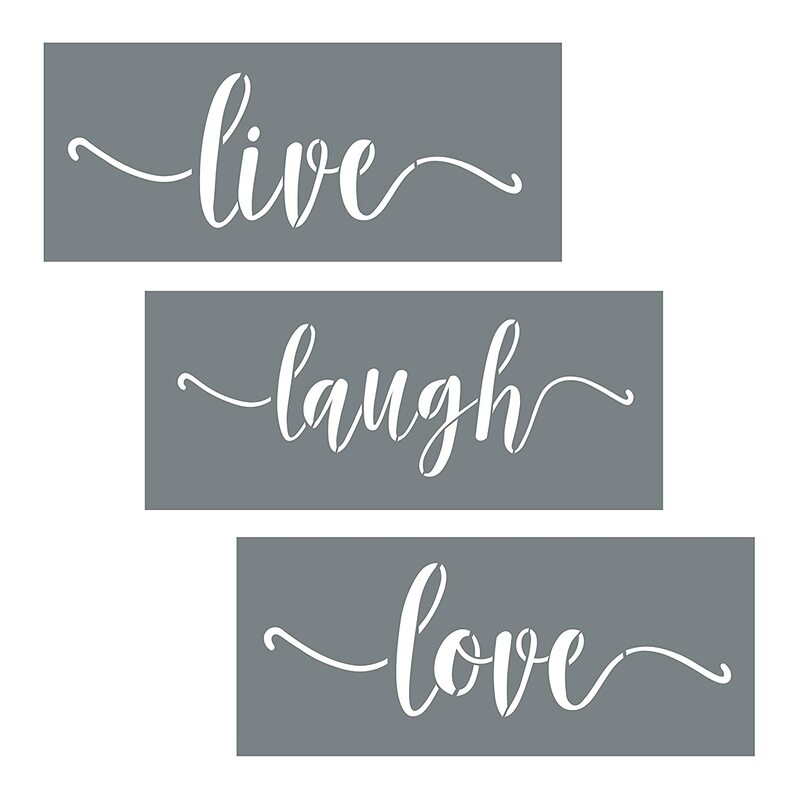 Words are always a great addition to an entry, over the fireplace, in your dining room or kitchen. These simple additions can be updated, moved or erased at any time. 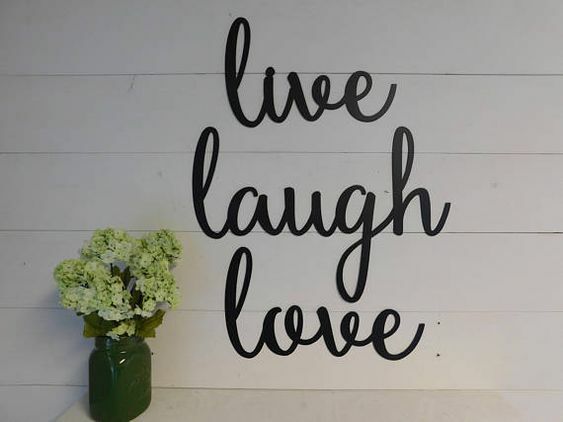 But don't just think of wall decor. 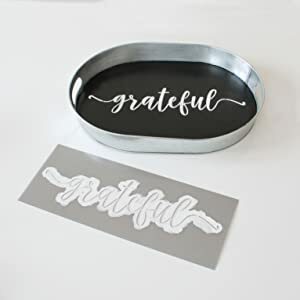 Wall stencils can be added to trays like the one below, wooden benches or backing and then framed. If you are looking to create a feature wall, your color combinations can be two contrasting colors or two paint colors in the same family for a more muted or subtle effect. Metallic paint is great for a more luxurious effect. 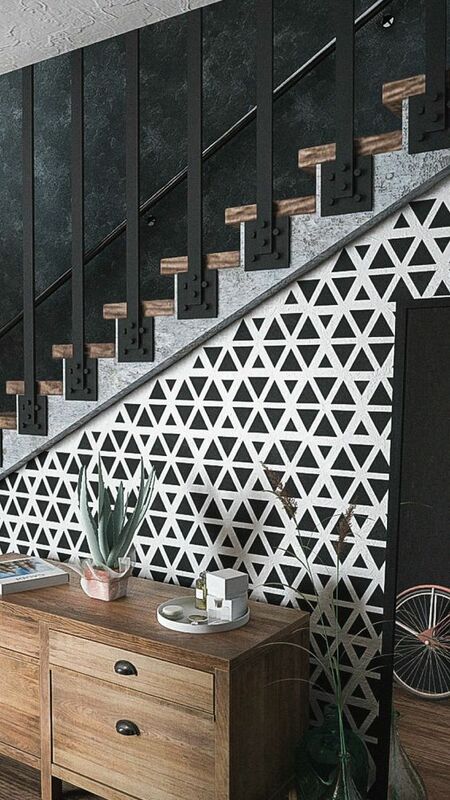 Simple geometric stencils are trending for an industrial, modern look but the imperfections of not having all the lines perfectly straight give it character and make it unique with that 'hand-made' artisan feel. What often makes wall stenciling so easy is you apply on an existing wall paint, cutting your work load in half. Depending on the condition of your walls, you can stencil right over them and bring them to life with a new look quickly and cheaply. 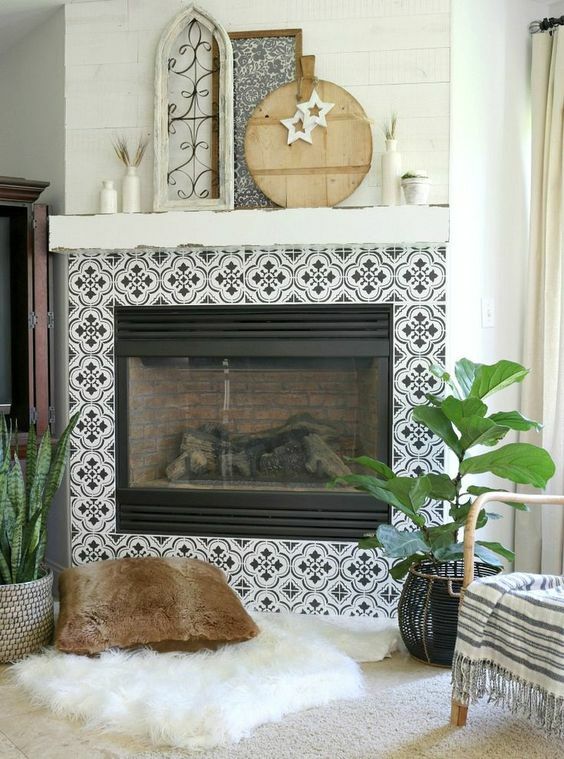 You can create a tiled fireplace look or paint the wall space above for a different look. Stencils are forgiving. 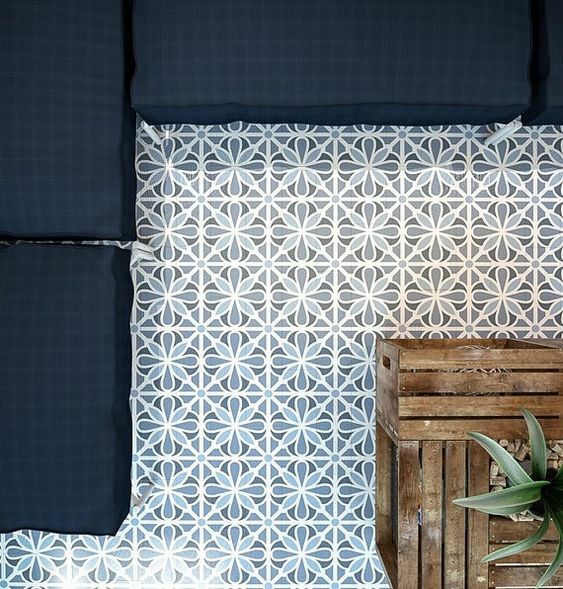 You can stencil an entire wall or just a border to see if you like the pattern. This is also a great way to add color, lighten, or darken your walls. Do you have gray or white walls but wish you had picked a different shade? Stenciling changes the look of your gray or white walls without repainting all your walls. If you love the idea of stencils how about using them on tiles? 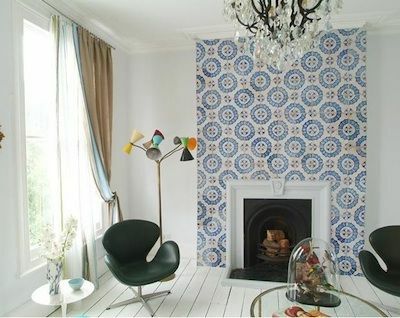 You can achieve a new tiled look faster and cheaper than buying and laying new tiles. Choose a one tile uniform look or a mandala pattern, either way, you can create beautiful faded European, Moroccan or Mexican style looks without hiring a professional and you can do it yourself. This is an easy way to update your kitchen or bathroom. Wall stencils can help you define spaces like an entry, dining room or even laundry to make it stand apart from the rest of our house. Your color and design choices will dictate your look, so put some planning and time into your choices. If you love soft, fresh looks add some color, if minimalist, mid century or industrial are the look you want, stick to dark contrasting colors like dark gray, chocolate or black and designs that are geometric. 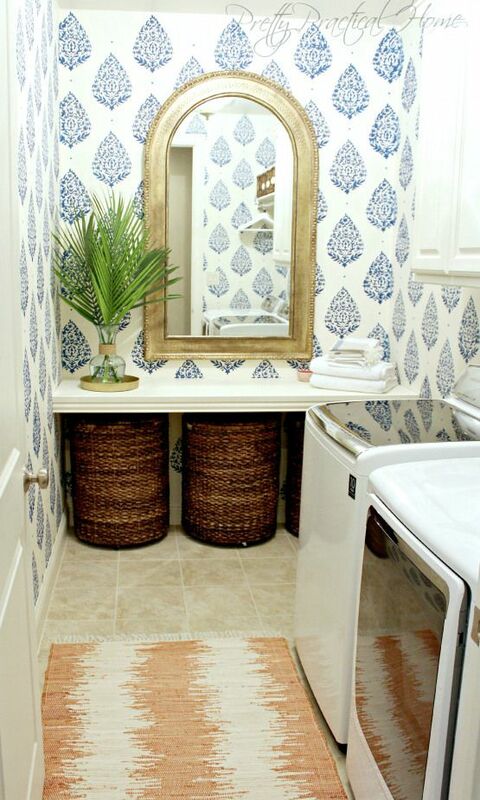 It makes sense to add a stencil in low cost rooms like your laundry or mudroom and still get a fresh new look. You can choose patterns or words. Either way, you might even want to stay awhile. Features are not always confined to walls. 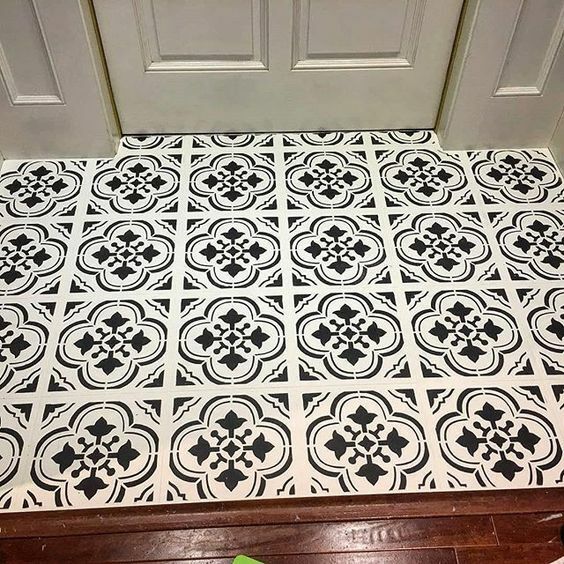 Using stencils on floors can give you a unique and exotic look. A small space won't take too long to stencil, so choose your space wisely, unless you have time and patience to complete larger areas. Take time to choose your pattern, paint colors and color combinations to get the best results. You can always start with a wall stencil border to get comfortable with wall stencils. 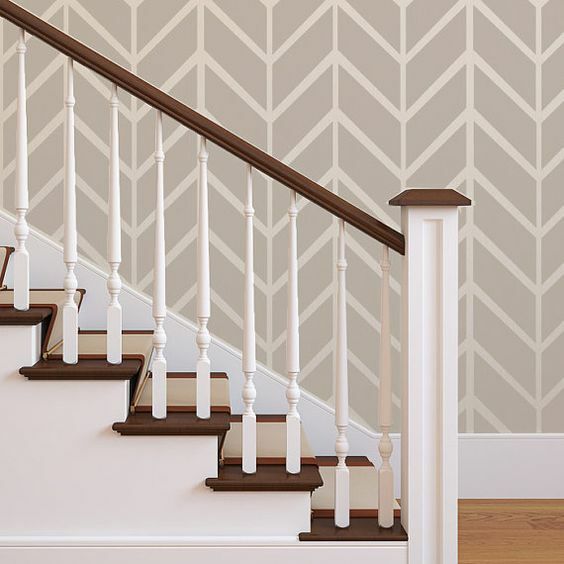 Wall stencils are such an easy way to change the look of a room within hours! I love this site, so helpful. Have you any advice on getting organised in preparation to move house, I don't know where to start.